10 Places to Picnic in the U.S.
One of the best ways to get to know a place is through its public green spaces. Next time you’re traveling, pack a picnic and enjoy. Here are our picks for the best places to picnic in the U.S. this summer. Lay out your blanket on the 55-acre Great Lawn in Central Park. A popular spot for morning yoga, frisbee, and sun worshiping for Manhattanites who can't get to the beach, the Great Lawn is the perfect place to enjoy a picnic. You won’t exactly be alone in this city oasis, so choose your picnic spot wisely. If you want peace and quiet, head over to East Green on the East side entrance of the park.This area is one of the eight designated Quiet Zones, so relax and set up your picnic under the magnolia trees. If you're with the kids, pick a spot by the West side entrance near Sheep Meadow. It's the perfect family-friendly spot, near playgrounds, ball fields, the carousel, and the zoo. Cherry Hill, in the center of the park, boasts a beautiful view of the lake and is a popular spot for lovebirds. 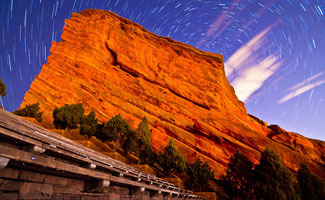 For the avid hiker and nature lover, pack your picnic for the Red Rocks Park and Amphitheatre, just outside of Denver. With hiking and biking trails as far as the eye can see, this rust-colored, rocky vista offers stunning views of the city from all angles. Start your day with a morning hike, break for lunch and then enjoy a nighttime concert at the amphitheatre. Enjoy your lunch at the group picnic shelter off Tunnel Road, which has a snack bar and rest room facilities. Should you plan your picnic for a clear evening, you’ll be treated to incredible views of the starry sky. Download a trail map here, complete with park safety tips, rules, and regulations. Also, check the calendar for upcoming events and shows. With wide-open views of the Colorado River, 360 Bridge, and downtown Austin, Mount Bonnell is a great spot for your picnic adventure. To reach the top, you’ll need to climb a steep staircase, but if you can't make it all the way to the top, fear not. Scattered along the walk are picnic tables and places to sit, but you'll have to look for them, as these spots are secluded. Even though it’s a popular spot for tourists, Mount Bonnell still offers plenty of privacy and quiet, so relax and enjoy your own little slice of mountain heaven in the city. Walden Pond was once home to American poet and author Henry David Thoreau. It was here that he wrote Walden, the book that inspired the early environmentalist movement. 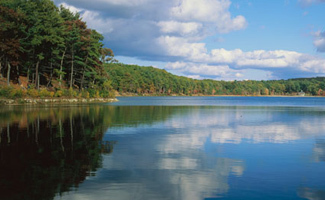 Only 25 minutes from Boston, Walden Pond is the perfect spot for an afternoon picnic under the trees. If you’re not bringing a picnic from home, you can grab snacks and supplies in town. The pond is a great spot for reading, writing, or simply relaxing, though you may encounter some furry visitors. Squirrels, chipmunks and rabbits are common inhabitants of the park, as well as a variety of bird species such as blackbirds, chickadees, and red-tailed hawks, to name a few. In an effort to conserve its beauty and history, the park prohibits dogs, bicycles, flotation devices, alcoholic beverages, and grills. Snow capped in the winter and green in the summer, the mountains of Crater Lake National Park only enhance the splendor of the lake itself. With a depth of 1,943 feet, Crater Lake is the deepest lake in the United States. The park's breathtaking panoramic views of trees and mountains make Crater Lake the perfect picnic spot. Hiking, fishing, swimming, and camping are popular summer activities for visitors, as well as boat tours and park ranger talks. Have your picnic lakeside at the bottom of the mountain, or climb to the top and gaze out over the park. With year-round scenic beauty, Crater Lake is a must see for any nature lover. Golden Gate Park is one of California's largest urban green spaces. 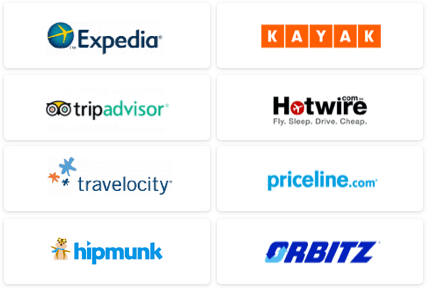 With over 13 million visitors each year, you'll have plenty of company. Picnic across Mallard Lake at Elk Glen picnic area or the Pioneer Log Cabin picnic area. Elk Glen is a quiet, shady retreat surrounded by the park's beautiful flowers and plants. You can reserve one of the four picnic tables on the grounds in advance, especially if you plan to grill as there are two BBQ stations located nearby. Although on the quieter side, the grassy grounds are the perfect spot to play kickball, volleyball, frisbee, or just go for a stroll. If you prefer a more rustic picnic, camp out at the Pioneer Log Cabin. Complete with tall trees and a redwood log cabin, these grounds are great for family gatherings. After lunch, explore the Conservatory of Flowers and learn about the brightly colored flora that will peak all of your senses. Admission to the Conservatory is $7 for adults, $5 for kids 12-17, $2 for children 5-11, and free for children four and under. With dozens of gardens, lakes, meadows, and groves throughout the park, it's easy to lose track of time on a beautiful day. In the mood for a little romance? Swap your basket for a cooler and enjoy a beach picnic while you watch the sunset. Access the beach at Crystal Cove State Park via Reef Point, Pelican Point, or Los Trancos. Discover tide pools, sandy coves, or just take a stroll along the beach. Bring your snorkeling gear if you want to explore a 1,140 acre underwater park, specially created within the boundaries of the park. This unique feature offers snorkelers an extensive view of diverse marine life, natural to the area. Biking, hiking, swimming, and scuba diving are among other activities to do here as well. Smoking, alcoholic beverages and glass containers are prohibited. The park closes all lots at 10pm so be sure to take any unwanted trash with you. Just fifteen minutes from downtown Charleston, South Carolina's southern charm extends to the shores. Don't forget to bring your camera to capture the beautiful sunsets. While you can eat anywhere on the beach, picnic shelters are available and offer tables, chairs and grills for your convenience. Watch the pier turn to a dark silhouette against a pink and orange sky, then head down to the pier later in the evening for events and activities like the popular Moonlight Mixer-Shaggin' on the Pier. Said to be the "heart of New England," Maine’s craggy coastline offers no shortage of incredible sightseeing. For a picnic, however, Ram Island Light in Boothbay Harbor, is the perfect spot for lighthouse lovers. Enjoy the boat ride to the lighthouse and choose your spot. Explore the island and search for beach glass, shells, or visit the island's main inhabitants; rams. Stay until sunset to watch the lighthouse in action. Visit Bedell Cellars on the North Fork of Long Island to picnic among the vineyards and apple orchards. For a small fee, guests are welcome to enjoy a tasting and a tour of the vineyards and surrounding property. A renovated barn serves as the tasting room for whites, reds, roses, and other wines. Vineyards have become increasingly popular wedding venues, so be sure to check the site before you plan your excursion, as the winery may be closed. Want to get away this summer? 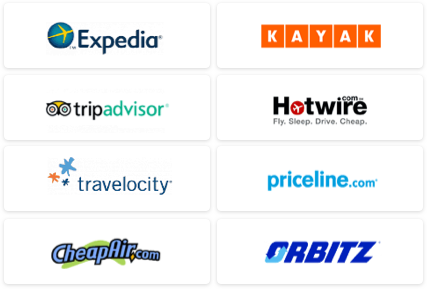 Check out our choices for quick summer getaways. Where are your favorite picnic spots? Tell us!